Schmidt Hammer Lassen Architects just unveiled their competition-winning designs for the New Central Library in Christchurch, New Zealand. Designed to replace the badly damaged old Central Library, this earthquake-resistant and energy-efficient structure is one of the anchor projects for the city’s Recovery Plan created after the devastating 2010 and 2011 earthquakes. 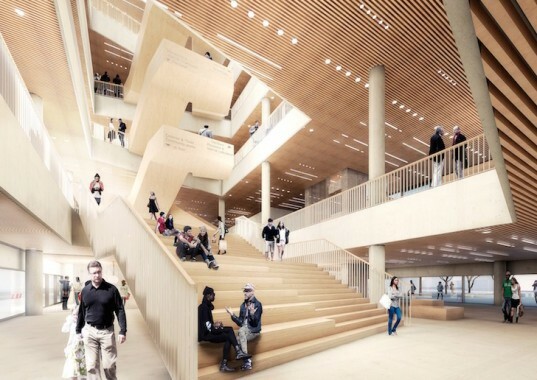 The new library will cover an area of 12,000 square meters—nearly double that of the old library. 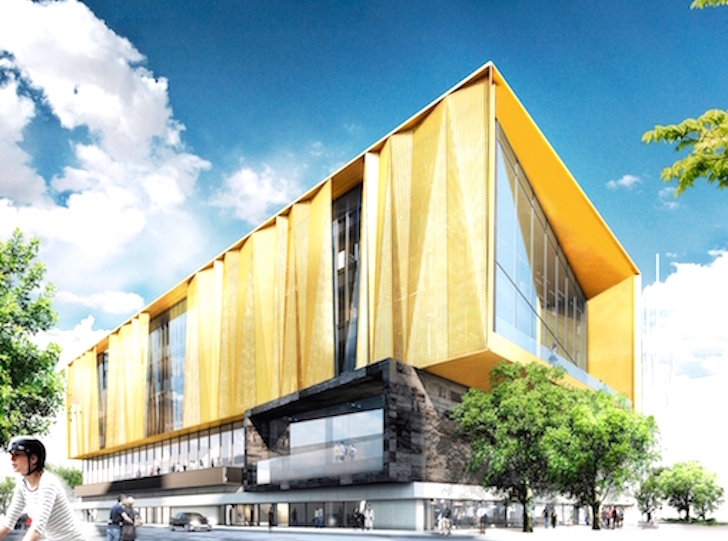 Christchurch’s Recovery Plan envisions a “greener, more accessible city with a compact city centre and a strong identity.” In keeping with that vision, the Danish architecture firm designed the New Central Library as a vibrant, flexible, and welcoming hub for social activity. The new library will be the flagship for the city’s library network and will incorporate many indoor and outdoor multipurpose rooms to accommodate uses from exhibition to performance. The library design references the social and cultural traditions of Ngai Tahu, a Maori tribe in New Zealand, with its earthy materials palette—such as exposed concrete and timber—that draw influences from the country’s landscapes. Generous glazing opens the New Central Library design up towards views of the city’s Cathedral Square and floods the library interior with natural light. Construction on the estimated $85 million project is expected to start late 2014 and the library is scheduled to open in 2017. The Danish architecture firm designed the New Central Library as a vibrant, flexible, and welcoming hub for social activity. The new library will be the flagship for the city’s library network. The library will incorporate many indoor and outdoor multipurpose rooms to accommodate uses from exhibition to performance. The library design references the social and cultural traditions of Ngai Tahu, a Maori tribe in New Zealand, with its earthy materials palette—such as exposed concrete and timber—that draw influences from the country’s landscapes. Generous glazing opens the New Central Library design up towards views of the city’s Cathedral Square and floods the library interior with natural light. Construction on the estimated $85 million project is expected to start late 2014 and the library is scheduled to open in 2017.